Individual or Group Options Available. Cost Has Been Prorated. Cost: $265 (incl. HST) Goalies $160 – 11 ice times, 50-min. Group Option – Each Group is subdivided into two groups based on age and skill level to optimize development and challenge (4 players max and a goalie). You can purchase a group at a discounted cost and you’ll have your own 1/6 of the ice to train….cost for a group is $880 for 4 players + $120 for a goalie = $1000. We can add a second goalie to the group for another $120. 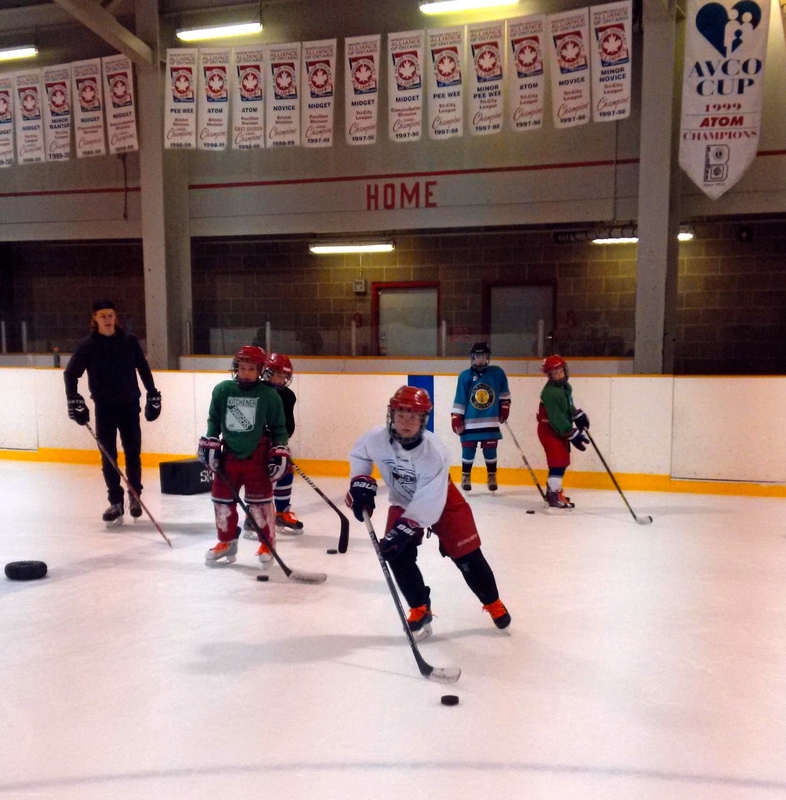 Enrollment is limited to 8 skaters and 3 goalies per group. 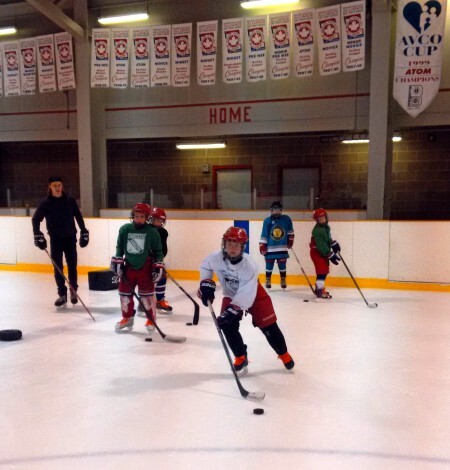 Geared towards players with basic skills (not for player who are just learning to skate) , this is an engaging 50-minute shooting and goaltending session. Each of the 3 groups uses 1/3 of the ice. And with in the 3 groups players are divided again into two groups to accommodate different skill levels (there is a group rate for 4 players and goalie). Goaltenders will be taught the modern butterfly technique and will work on their movement to position oneself square to the shooter. Goal scorers will focus on perfecting the various types of shots ( wrist shot, snap shot, slap shot, defections, in tight elevation shot) in a multitude of different scoring scenarios. The drills will combined puck control and speed to maneuver in and out of traffic in the areas around the net to score. Scenarios we will cover are different angle shots, driving the net off the rush, walkouts from behind the net, one timers, one time redirects, screen deflections and side deflections and more.